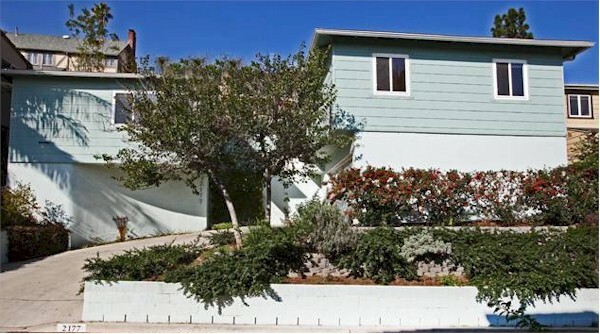 Built in 1953, it’s a mid-century with its own sense of style. The listing agent calls it a “dash of Mid-Century and a splash of Modern Contemporary.” There are 3 bedrooms and 2.5 baths in just over 1800 sq feet of living space. 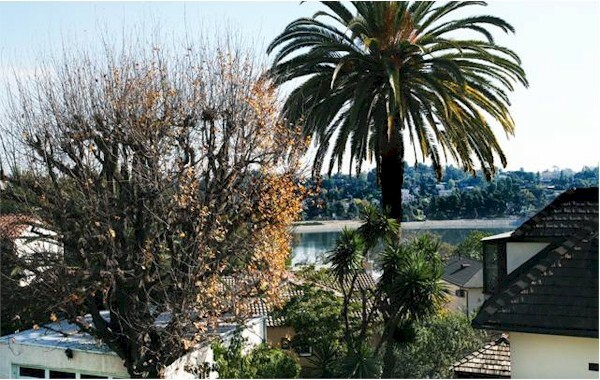 The fact that it’s a hillside lot affords some terrific view of the Silver Lake Reservoir. This Moreno Highlands homehas an open floor plan with plenty of light. There’s a black slate wood burning fireplace in the living room and recessed lighting throughout the house. 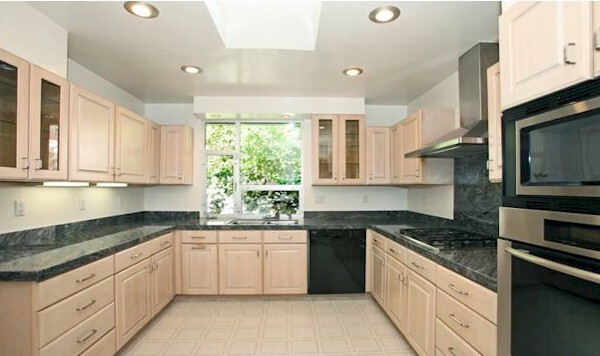 The designer kitchen had industrial metal windows, venting skylight, granite countertops and Meile and Dacor appliances.